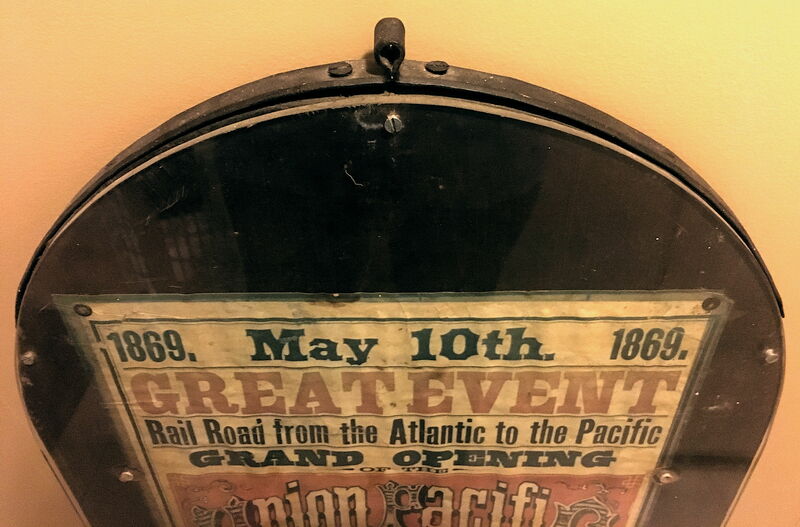 You might have a reproduced copy of the Union Pacific Museum's poster. Believe that their copy is the only known surviving original. The tears in your likely reproduction poster seem to match the tears in the UPRR Museum's original. Check to see if your poster has actual tears or intact paper printed with reproductions of tears. 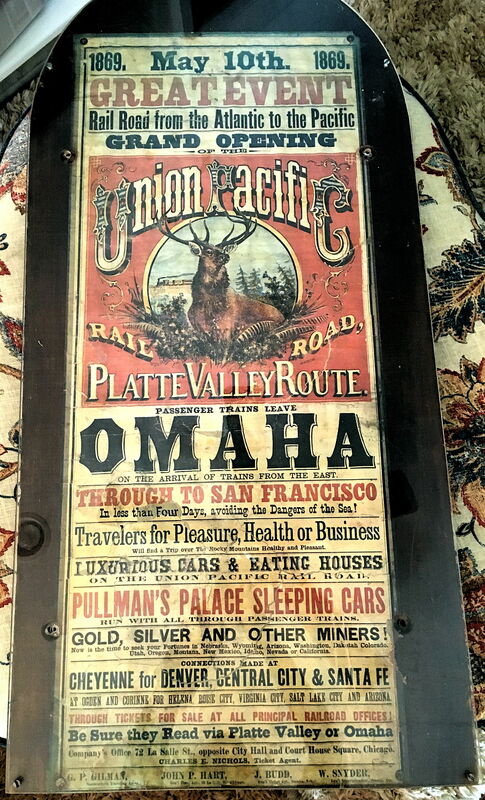 "Old 1965 Poster - UNION PACIFIC RAILROAD Platte Valley Route 1869 Grand Opening. This is the 1965 (so almost 50 years old) reprint of the 1869 Union Pacific Railroad Grand Opening of the Platte Valley Route. Published by Electronic News in 1965. SIZE: Measures about 15 inches x 36 inches"
See related regarding how to spot reproduction using a color halftone screen printing process, not available in 1869, that shows an array of dots easily visible when the item is looked at with magnification.